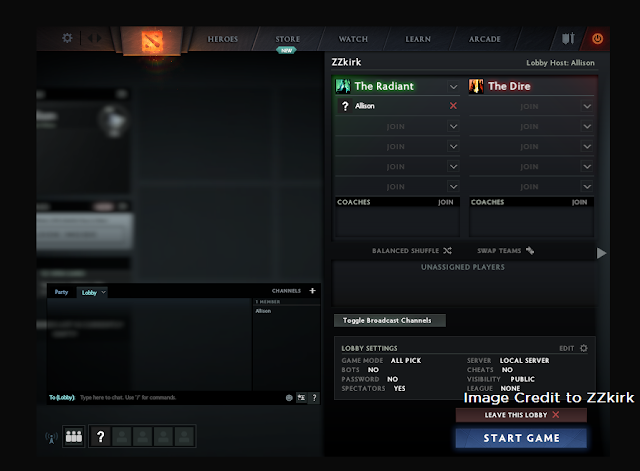 Play DOTA 2 offline without internet and steam using an emulator tool called Smart Steam Emu by syahmixp. Smart Steam Emu is a Steam Client emulator, which emulates Steam ticketing procedures when connecting/GC protocols when creating games. It's a good Steam Emulator tool as it has support for friend chat, game overlays, almost everything you use when playing on Steam. This emulator also works on other Steam games. This DOTA 2 offline procedure is what most Filipino DOTA players are looking for because of these probable reasons: (1) slow internet connection, (2) volume based - limited bandwidth internet, or (3) no internet connection at all. But there are also other positive reasons like for example, in the Philippines, most Internet Cafes or usually known as 'Computer shops', are devoted to LAN Games ever since, so by doing this, they can still play DOTA 2 on LAN even without internet. * Download Smart Steam Emu 1.4.1 or Smart Steam Emu 1.4.3 | Use 7-Zip or WinRAR to extract it. 1. 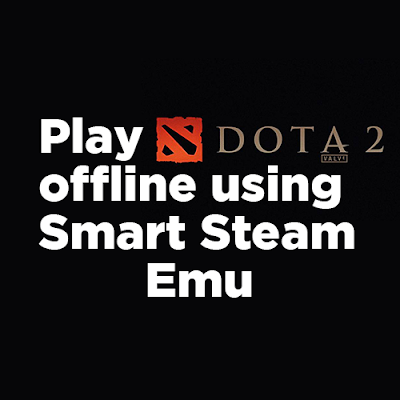 Assuming that you have already DOTA 2 installed on your computer, and downloaded Smart Steam EMU together with other requirements. Run "SSE Launcher" or "SSE Simple Launcher". On first run, it will ask for the location of your Dota 2 executable (32-bit). Give the correct location path of your DOTA 2 folder which is usually located in "...Steam\steamapps\common\dota 2 beta\game\bin\win32". - Drag and drop the dota2.exe from "Steam\SteamApps\common\dota2beta\game\bin\win32\dota2.exe" or "Steam\SteamApps\common\dota2beta\game\bin\win64\dota2.exe" to SSE windows. - Add game and find your dota2.exe on Game app ID type in the box 570 then Save. 2. Use "SSE Simple Launcher" to set your name and avatar (only .png format images), and press PLAY. 3. Done! It's very easy right? You can now play DOTA 2 offline completely without internet and Steam. Play as solo or play as a group in LAN, it's up to you. Always update to the latest version of SmartSteamEmu a.k.a SSE by clicking on "Help" then Choose "About". 1. It shows "Steam validation rejected" when I start bot games/join games. - Close Dota 2, turn off UAC, and run again. Access User Control Panel from Start Menu > Control Panel > User Accounts and Family Safety > User Account > Click on User Account Control settings link > Move the Slider to Never Notify > Click OK to make the change effective > Reboot. Type UAC in the search. > Click Change User Account Control settings in the search results. > To turn UAC off, drag the slider down to Never notify and click OK. > You may be prompted to confirm your selection or enter an direktur password. > Reboot your computer for the change to take effect. 2. It shows "Unable to launch game. Make sure the 'Target' and 'StartIn' folder point to correct path and folder". For Windows 7. Click Windows Start button > Control Panel > Folder Options > 'View' tab > check "Show hidden files, folders and drives" and uncheck "Hide protected operating system files". For Windows 8/10. Search Control Panel > File Explorer Options > 'View' tab > check "Show hidden files, folders and drives" and uncheck "Hide protected operating system files". The SSE folder should then be seen, as well as its contents inside. Look for SmartSteamEmu.ini, and edit the Target and StartIn values. - Depends on change in Steam ticketing procedures. syahmixp has dedicated his efforts on making sure that all games are supported. 4. Are there custom items? - No. And not yet. 1. Extract the downloaded DOTA 2 Custom Maps on "...dota 2 beta\game\dota_addons"
3. Open console by pressing backslash key "/"
If you have any concerns regarding this tutorial on how to play DOTA 2 offline using Smart Steam Emu. You can leave them in comment below. Thanks for reading! And have fun gaming! GGWP!